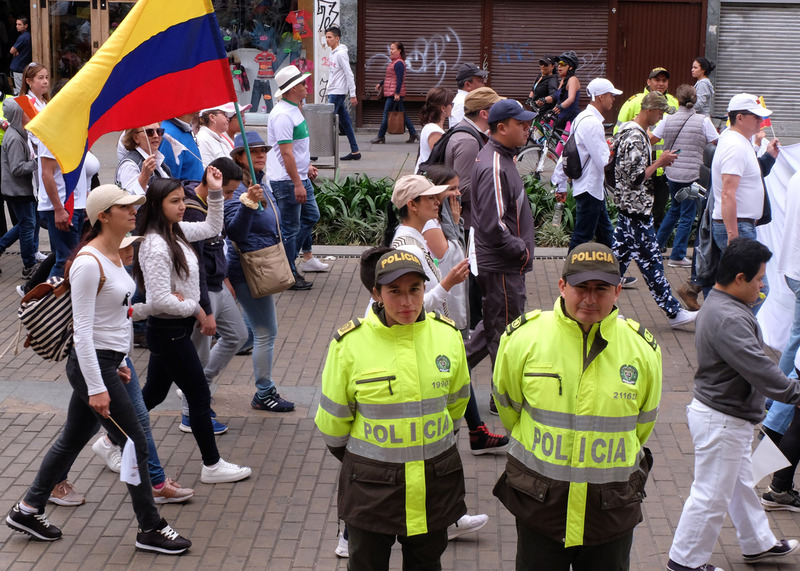 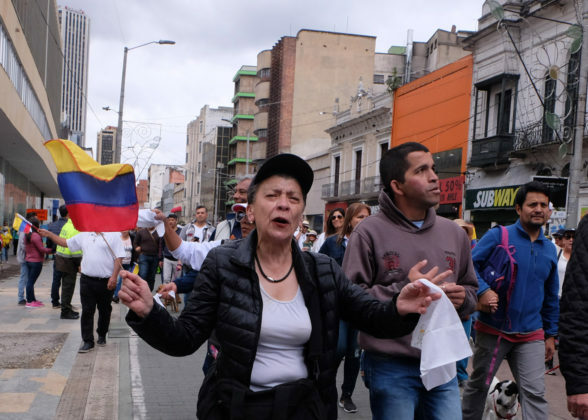 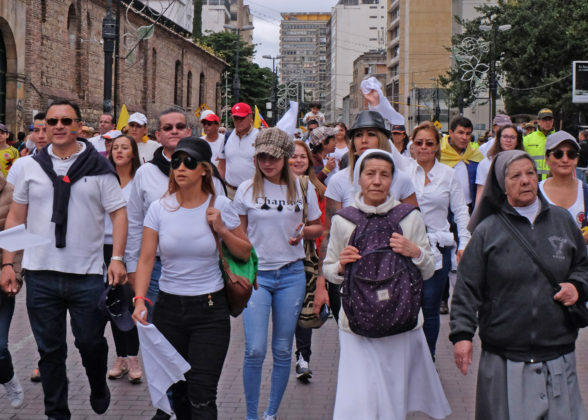 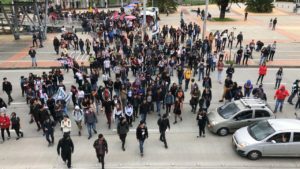 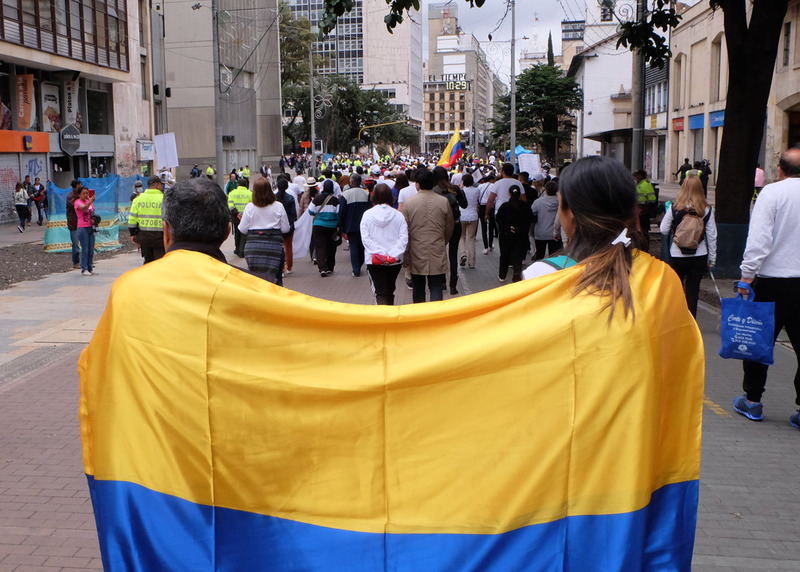 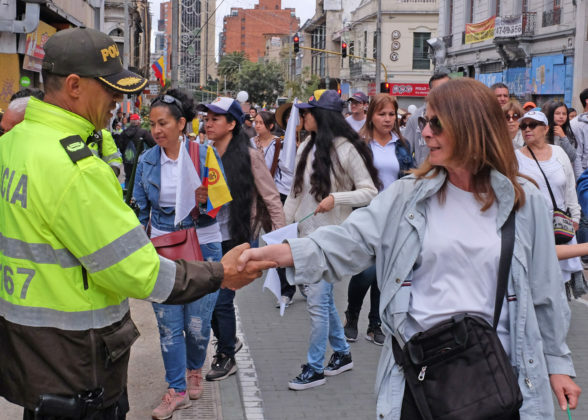 Colombians took to the streets Sunday to show solidarity to the National Police after a car bomb killed 20 cadets Thursday in Bogotá. 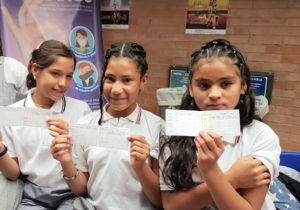 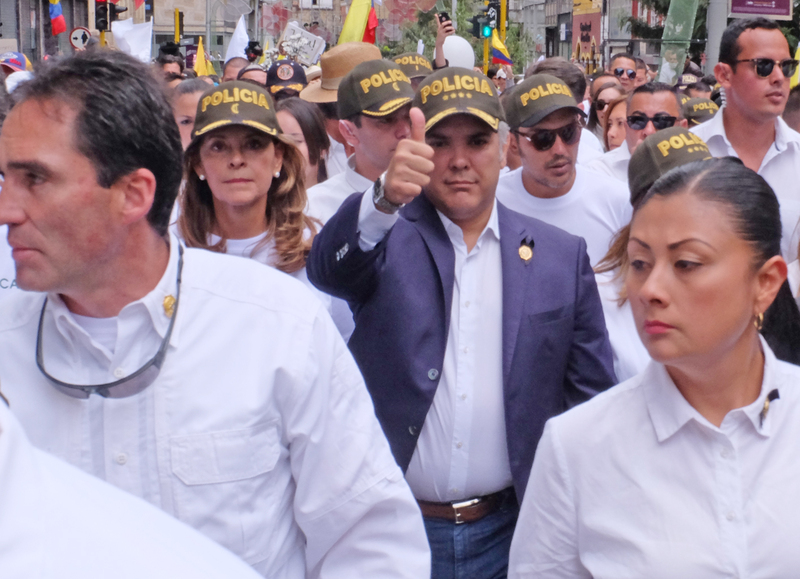 Joining some 25,000 in the march towards Plaza de Bolívar, President Iván Duque was accompanied by First Lady María Juliana Ruiz and Vice-President Marta Lucía Ramírez. The city’s most important square has a capacity of 50,000 people. 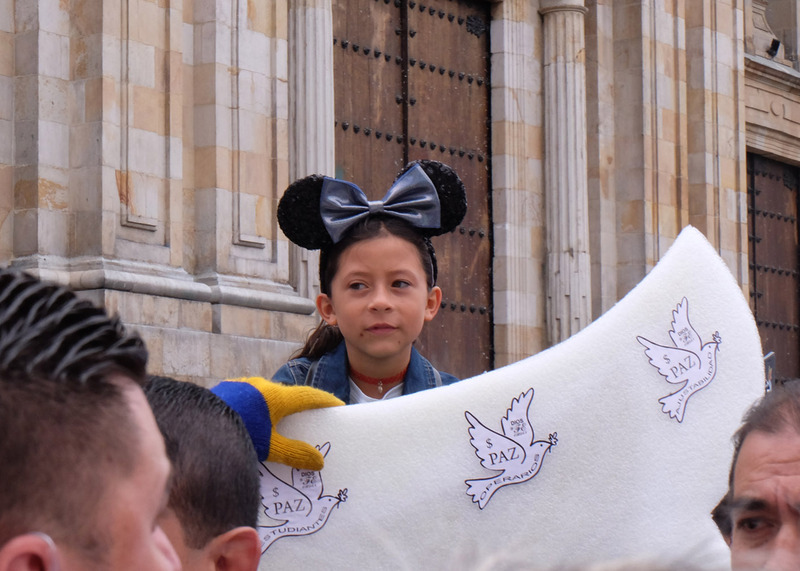 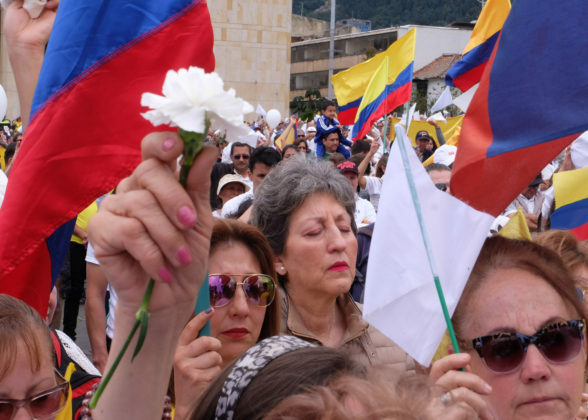 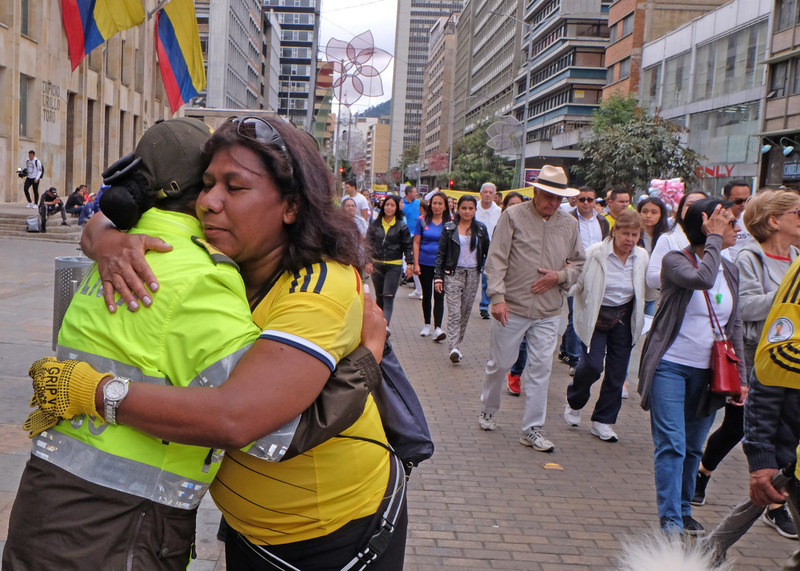 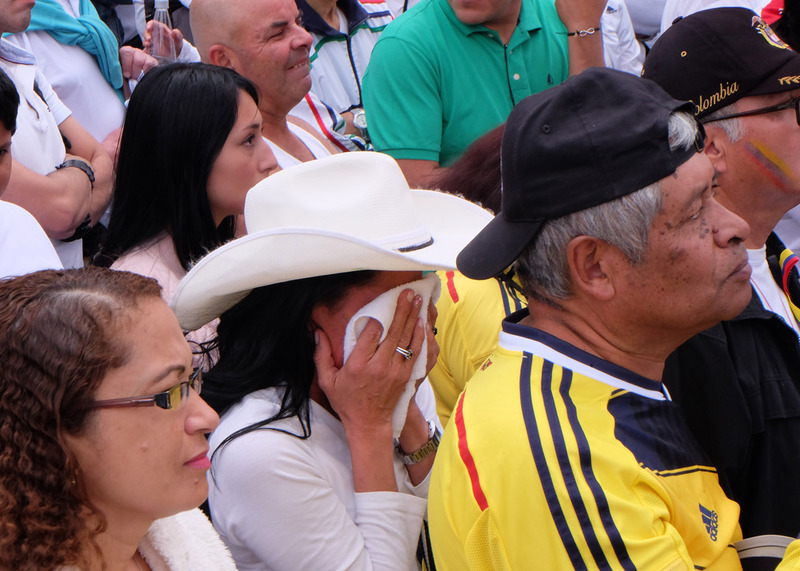 Members of Colombia’s security forces lined major streets such as the Carrera Séptima as people from all walks of life participated in the march to commemorate the cadets who lost their lives in a brutal attack by the country’s ELN guerrilla, and saluted the men and women of the National Police, handing them flowers, taking selfies and expressing their heartfelt sympathies. 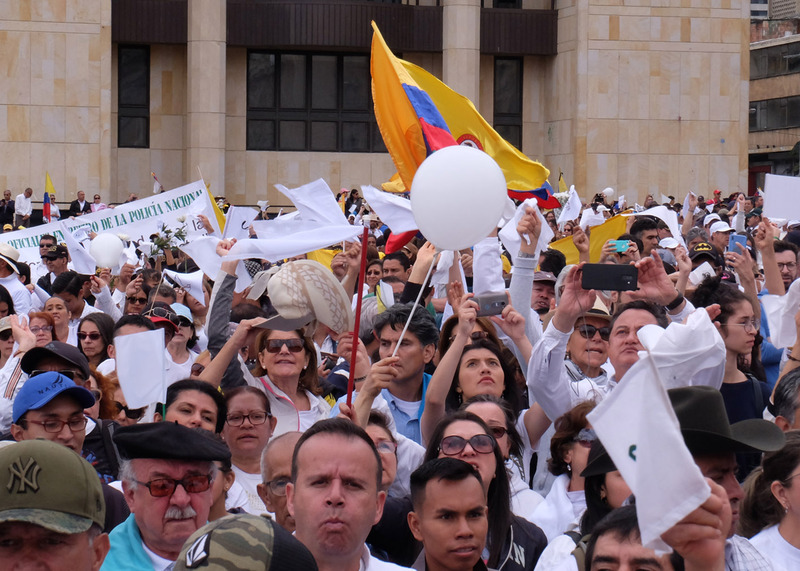 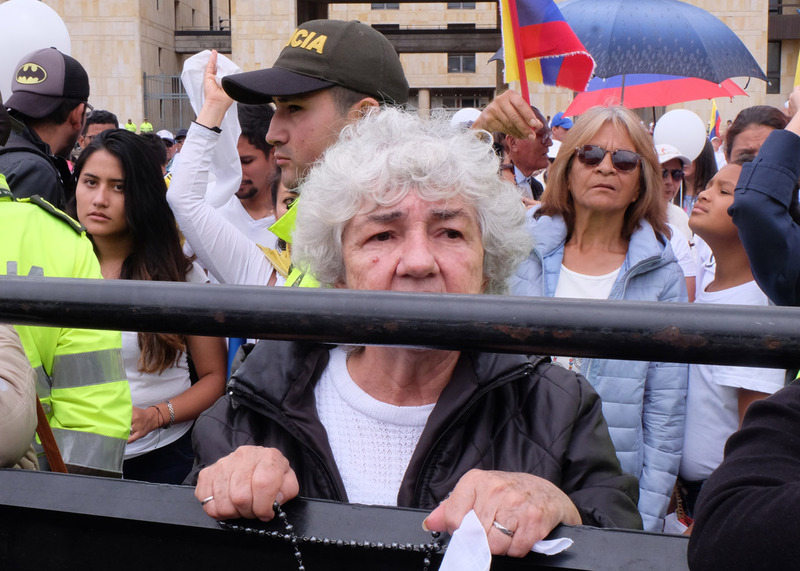 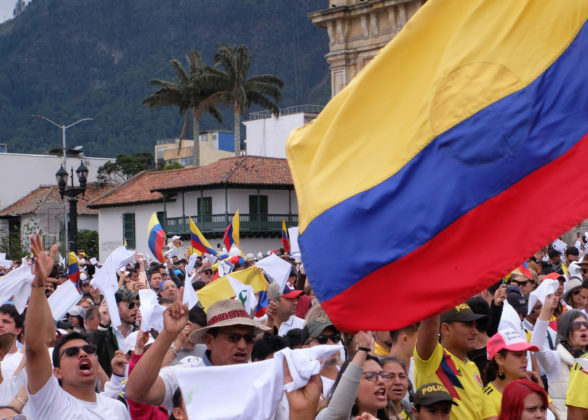 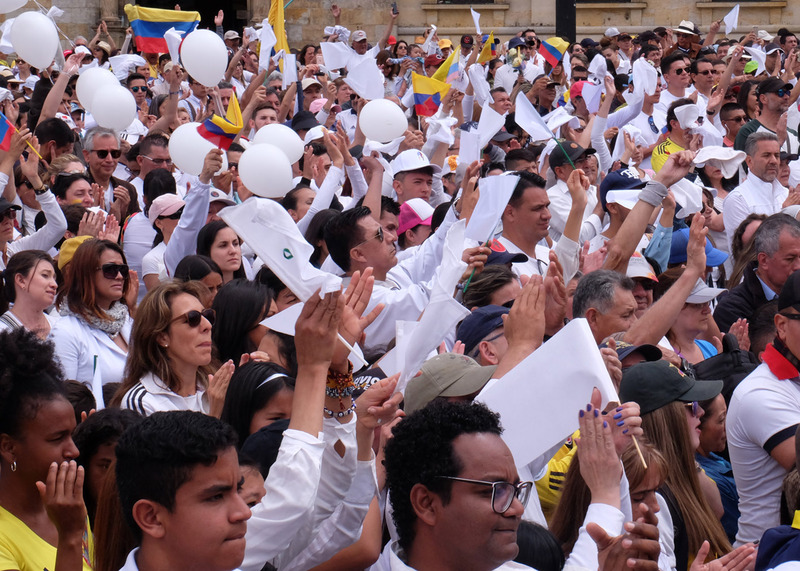 As the crowd reached the Plaza de Bolívar many chanted slogans condemning the ELN (Ejercito de Liberación Nacional) and carried white flags in support of peace. 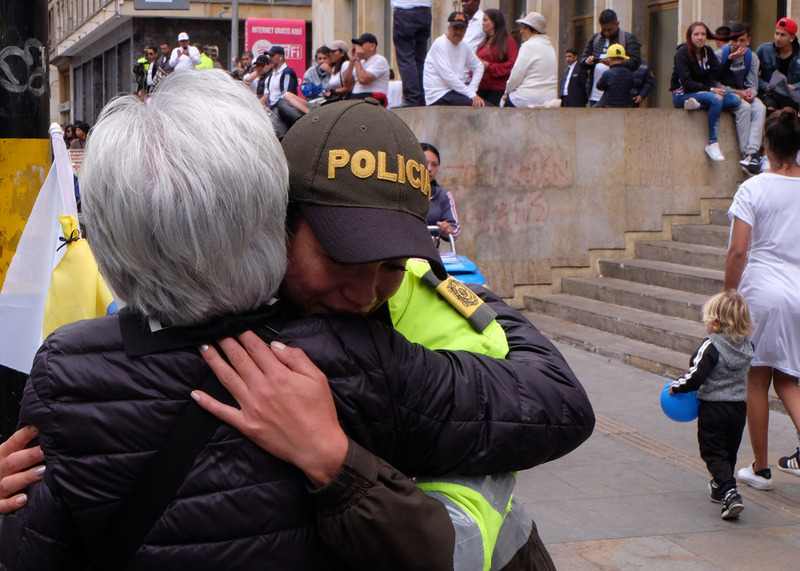 For police officer, Johanna Martínez responding to such an outpouring of emotion from the public is something she never trained for in the academy. “We are filled with sadness with the deaths of innocent cadets who were all younger than 24,” she remarked. Similar marches took place simultaneously in other Colombian cities, including Medellín, Cali, Cartagena an Barranquilla. 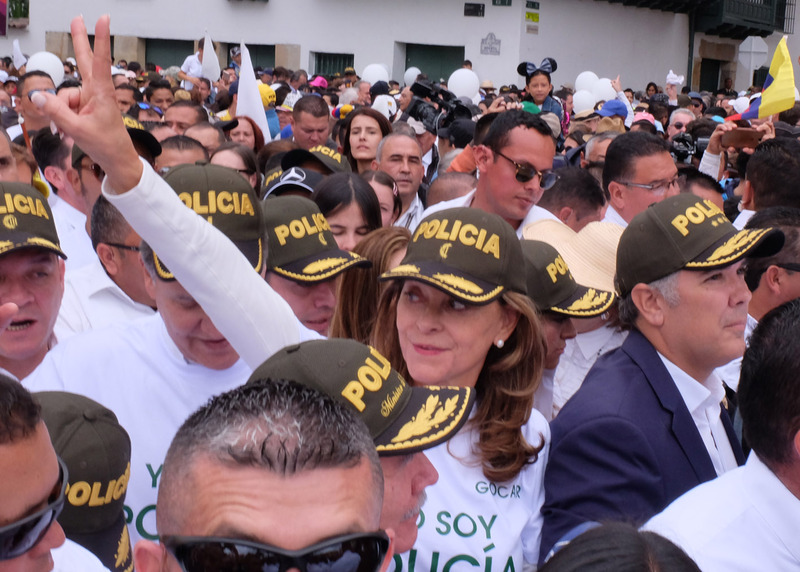 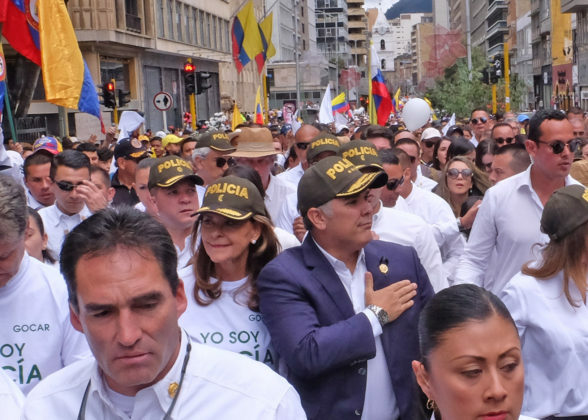 Called the “March for our Heroes,” President Duque, as well as members of the cabinet, wore Police caps as they joined a march that began at 9:00 in Parque Nacional.